The new EQS800 solar chronograph has enhanced charging technology that can store plenty of energy to drive the watch via the solar panel under the inset dials. 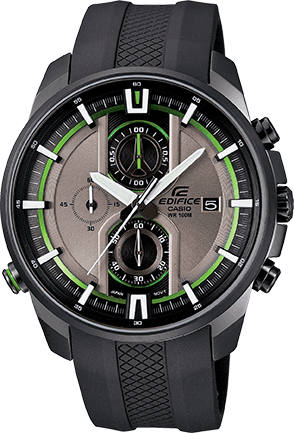 Casio is introducing a new model in the EDIFICE EQB-501 Series Smartphone Link watches. 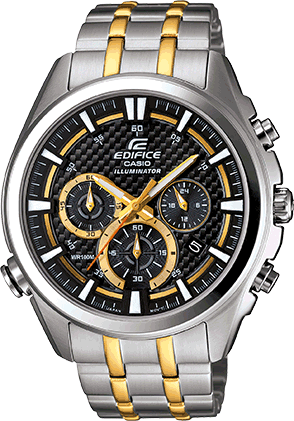 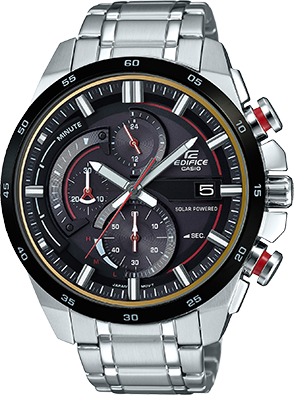 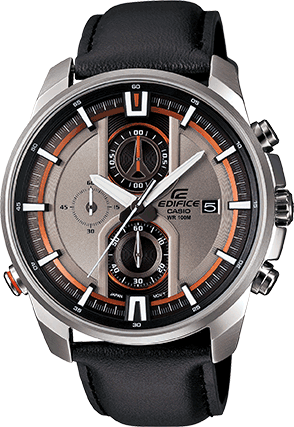 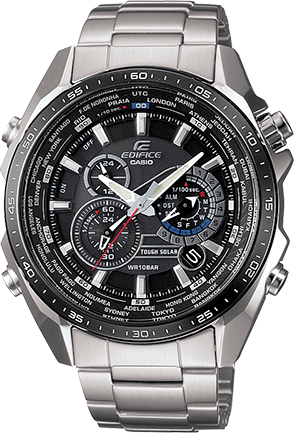 Comfort, style and intelligence all come together in the Edifice EF527D-1AV. 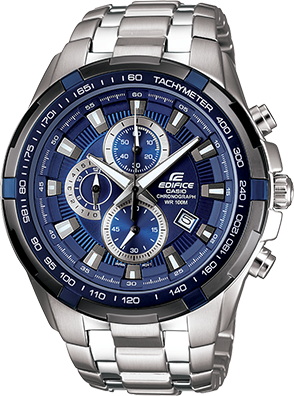 Introducing a new model that adds further advances to the popular EDIFICE EQB501 series Smartphone Link watch. 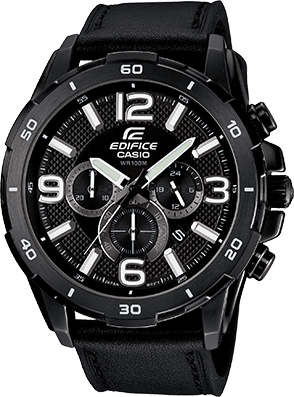 The all new EFR558 series of Edifice watches are designed with motorsports in mind. 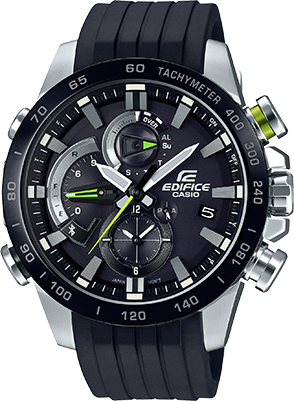 These models are the latest solar powered chronographs from the high performance EDIFICE lineup. 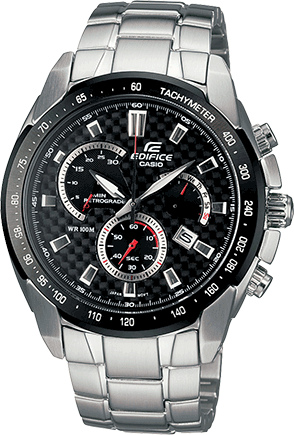 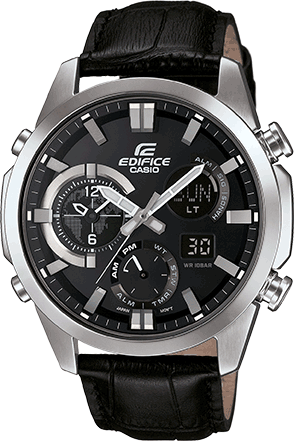 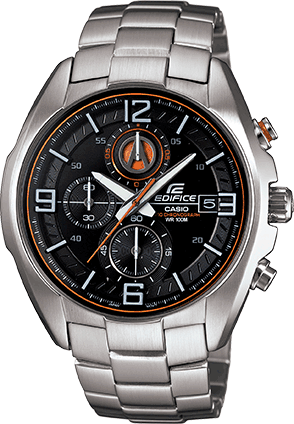 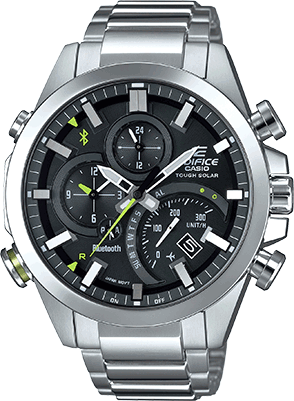 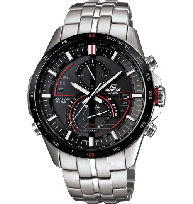 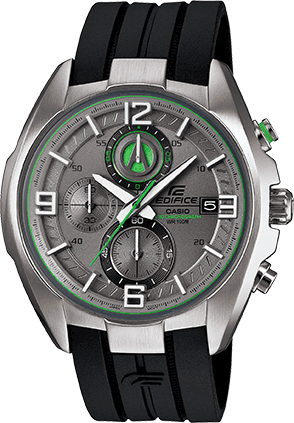 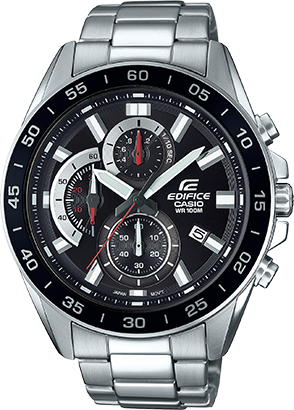 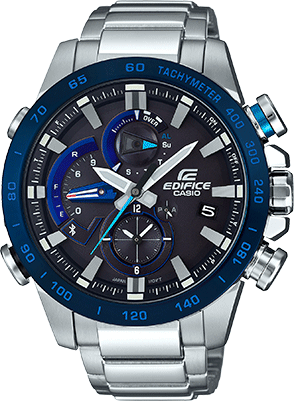 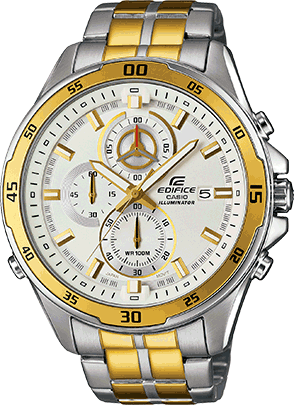 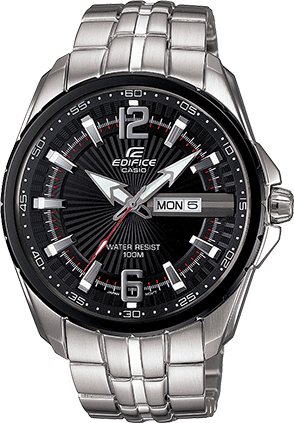 Edifice Analog solar powered stainless steel watch with battery level indicator. 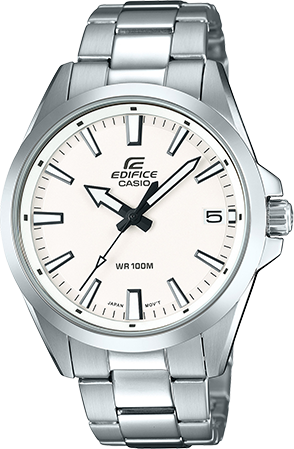 The new EQB800 automatically links with a smartphone for time information, which ensures that timekeeping is always accurate. 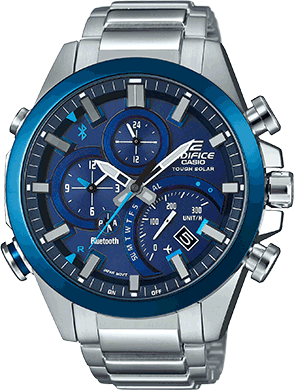 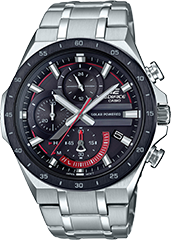 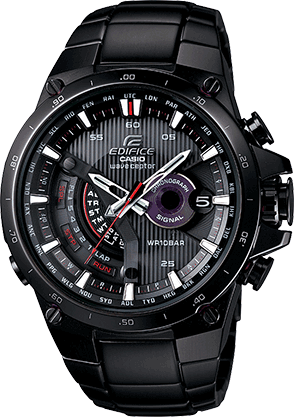 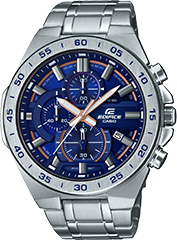 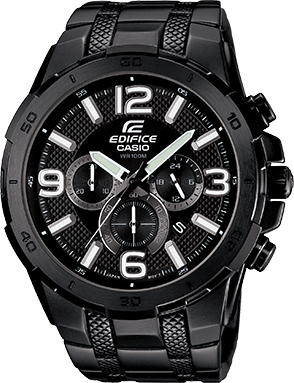 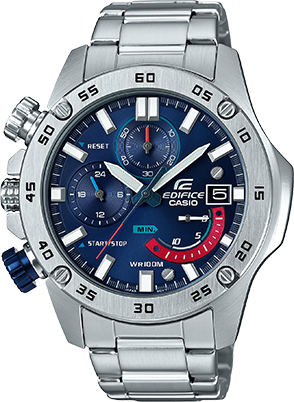 Introducing a new 3-Hand Chronograph from the Casio Edifice lineup of sport inspired timepieces. 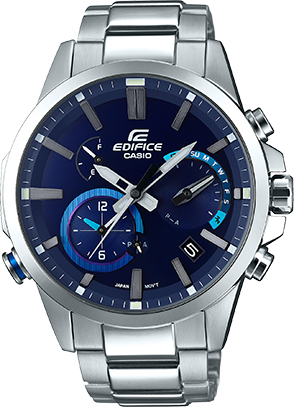 Introducing the new ECB500D-1A, a stylish and function packed watch that includes a Mobile Link Function so you can be sure you are always on time. 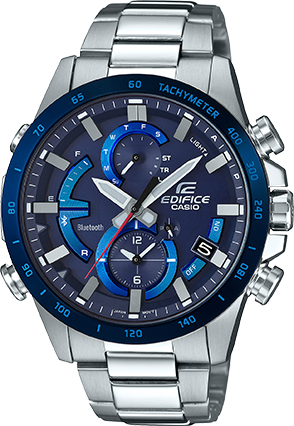 Introducing the latest additions to the ECB-800 Series of EDIFICE metal chronograph models with advanced features and functions that allow linking with your smartphone. 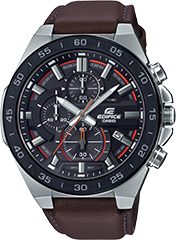 Introducing a new model that adds a revolutionary new Dura Soft Fluoro Rubber band to the metal, advanced feature-packed EDIFICE EQB-800 Series Race Lap Chronograph. 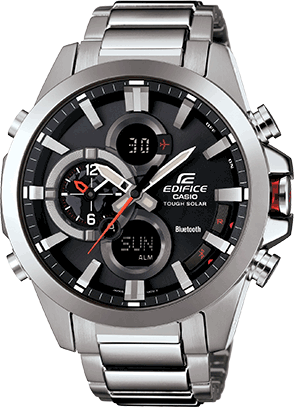 The latest additions to the ECB-900 Series of EDIFICE metal chronograph models with advanced features and functions that allow linking with your smartphone. 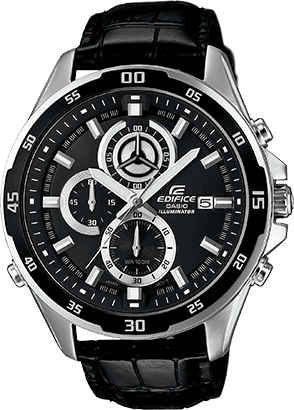 EDIFICE Analog date display watch, 100 meter water resistant and approximately 3 year battery life. 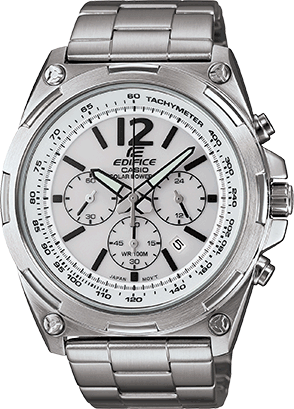 EDIFICE Stainless steel watch solar powered, 100 meter water resistant. 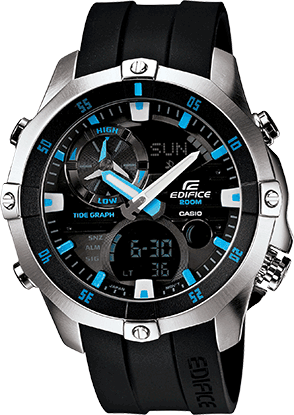 Date display and battery indicator. 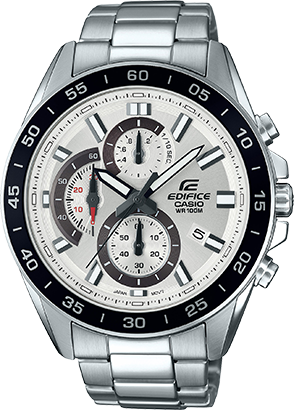 EDIFICE chronograph flat bezel design with mutilayer dial and 100 meter water resistant. 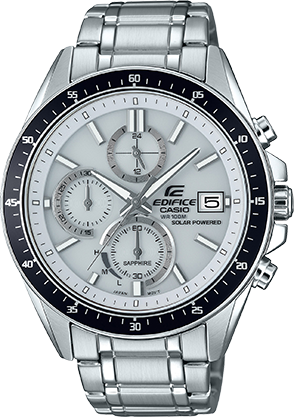 Stainless steel band and solar power technology. 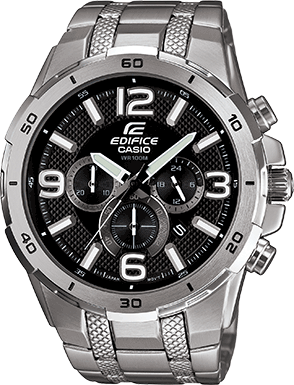 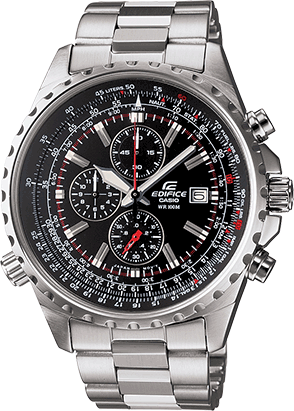 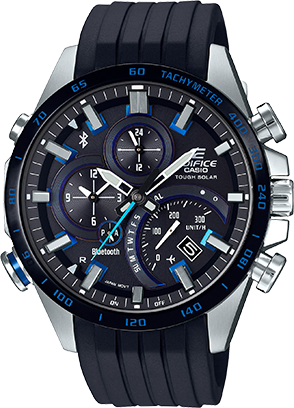 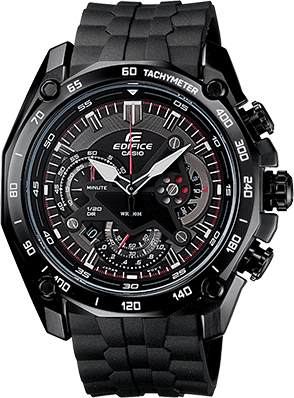 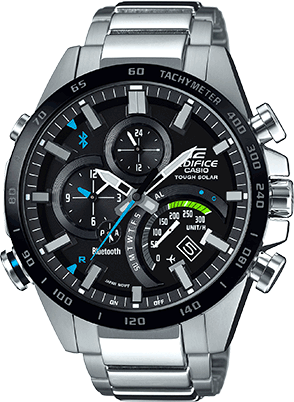 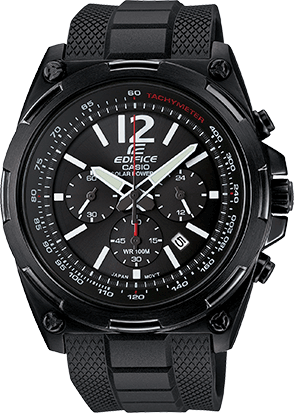 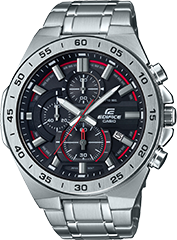 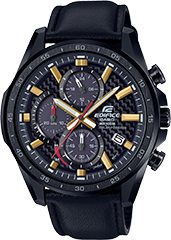 EDIFICE retrograde chronograph analog watch with 100 meter water resistance. 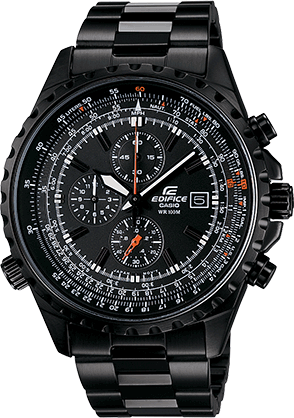 With its smart, bold design, and dual dial display, the EQB700 is made for the world traveler. 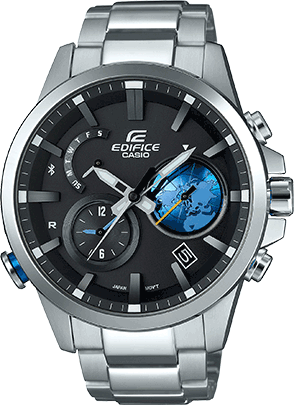 With the adoption of a 3D globe dial representing the flow of time in concert with the movement of the earth, EDIFICE’s Smartphone Link has evolved further in new attire. 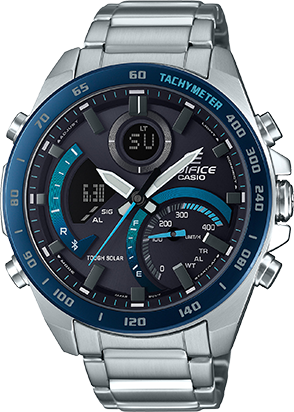 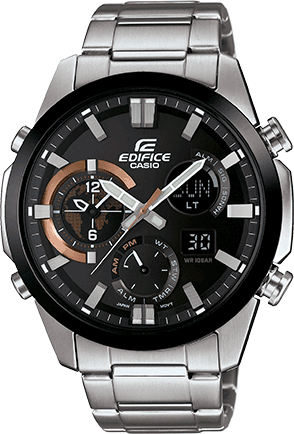 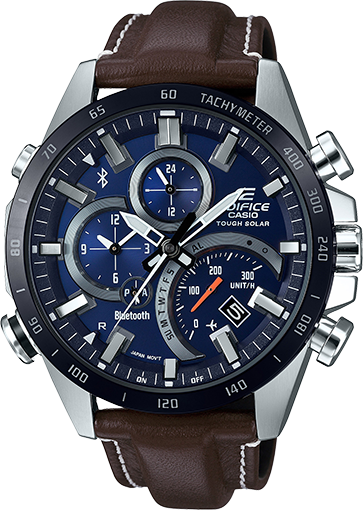 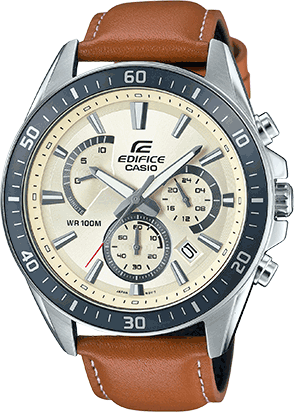 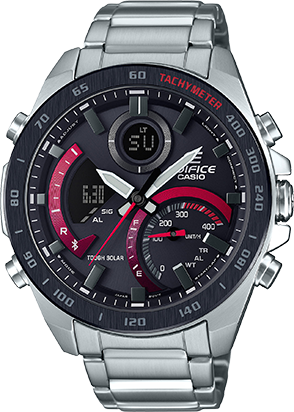 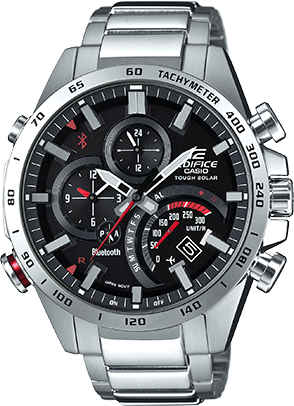 This new dual dial ERA500 series from the Casio Edifice lineup features a thermometer, 1/100th second stopwatch, countdown timer and 5 daily alarms which make it as functional as well as fashionable. 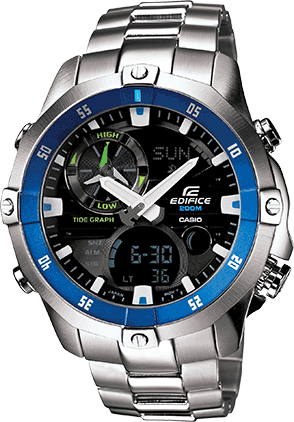 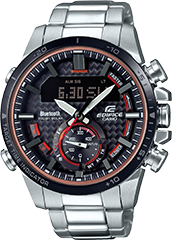 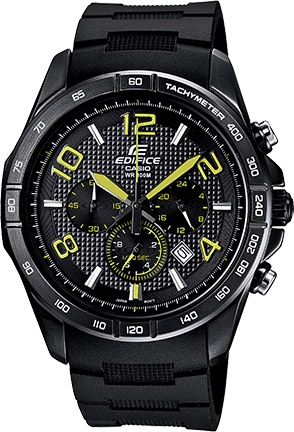 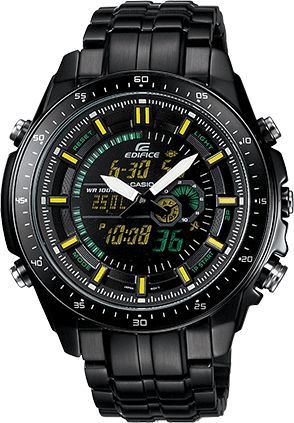 The new EFR545 series of timepieces are powered Casio’s Tough Solar technology. 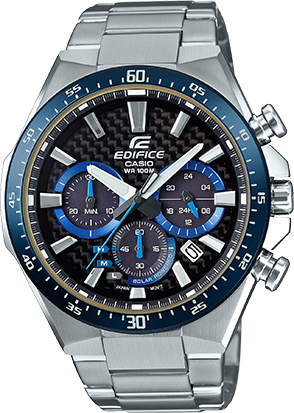 Introducing the EFR538, a timepiece with a large case and face that really stand out on the wrist. 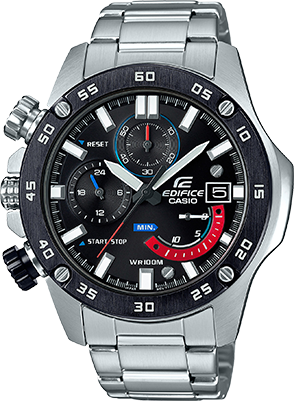 EMA100 from Edifice’s Advanced Marine Line has combined display functions of analog and digital. 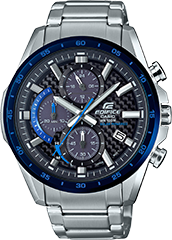 The EFR529 addition to the Active Racing Line series evokes a sense of motor sports energy. 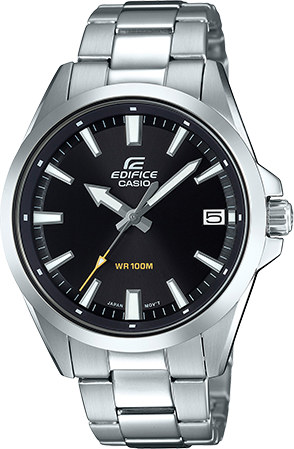 EMA100 from Edifice’s Advanced Marine Line has combined display functions of analog and digital watch. 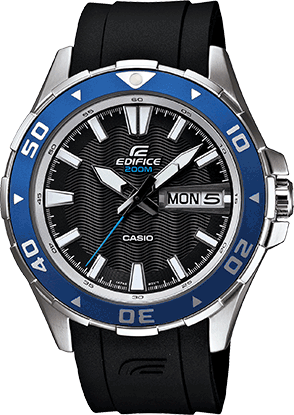 In the spirit of classic dive watches, Casio introduces the Edifice Marine Line. 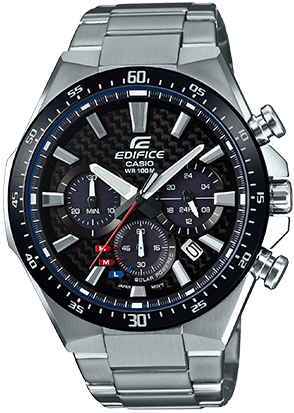 Incorporating dynamic style and functionality these new Edifice Active line models feature dual-layer, colorful multi-dials that really make a statement with contrasting black bezels on stainless steel cases. 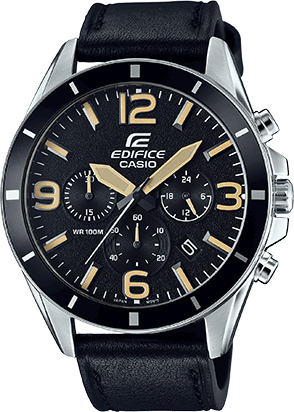 Adding a flash of color to the Black Label series, the new EFR516PB series utilizes luminescent orange and green hour indexes set against a gloss black texture dial. 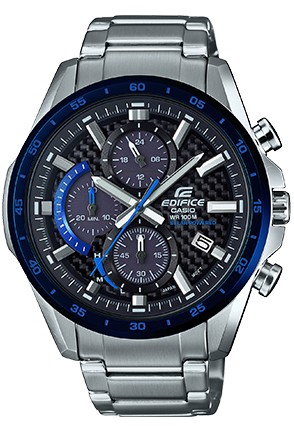 The evolution of operability, functionality and display performance continues with the EDIFICE Black Label EQWA1100CD-1A. 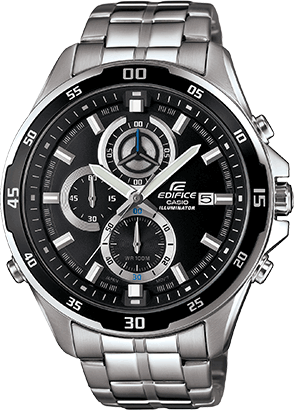 Styled with an engine motif, the EF550PB-1AV is equipped with stacked sub-dials, which are strategically covered for enhanced legibility and a dynamic look. 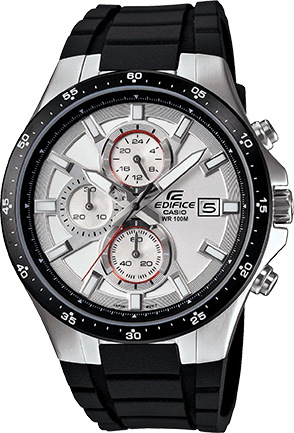 Style, precision and comfort align in the EDIFICE EF527BK-1AV. 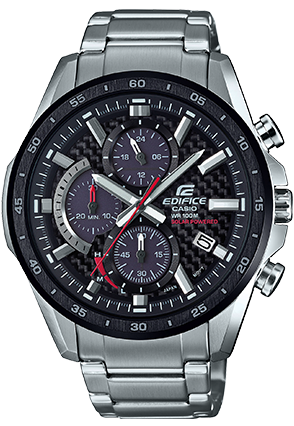 Under the veil of its black IP stainless steel case and band, lies a calculation tool. 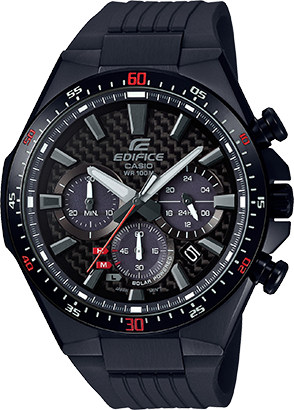 With its carbon fiber dial, tachymeter etched bezel and retrograde chronograph, this Edifice timepiece embodies the look and feel of speed. 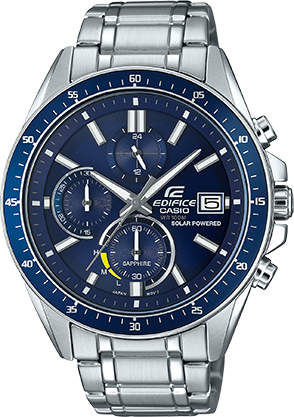 This Self-Charging Edifice model eliminates the need for battery changes through its unique Solar Powered system.